Yesterday, the team witnessed the roll out of the Soyuz launcher to the launch pad at Europe’s spaceport here in Kourou, French Guiana. It was an early start. Operations began with moving the mobile gantry away from the launch pad, before the Russian team started rolling out the Soyuz rocket at 06:45 (local time). Walking next to the rocket as it rolls towards the launch pad is an exceptional experience, and the team really values these particular moments on their road towards the launch. 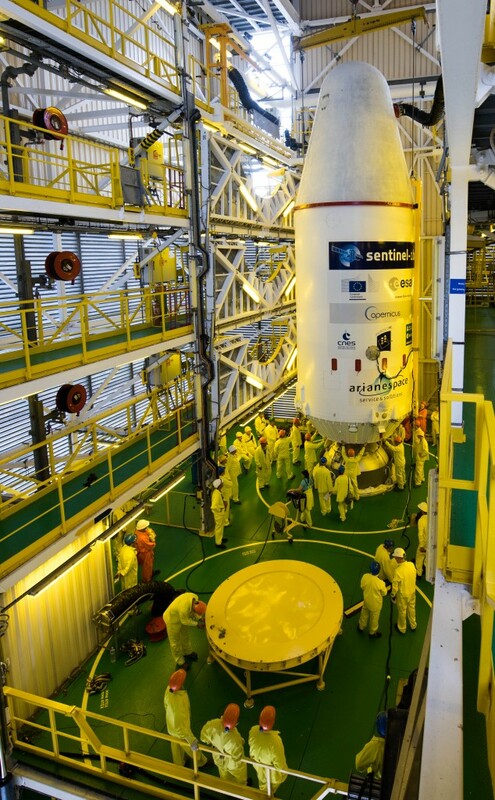 After the rocket was securely mounted in its launch position, the upper composite – which holds our Sentinel-1B satellite and CubeSat’s as well as the CNES Microscope satellite – was transferred by road from the S3B building to the launch site. There it was hoisted into the mobile gantry, and later integrated on top of the rocket. Our Soyuz is now complete. 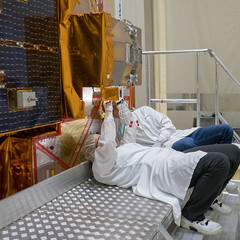 Following the mating with the launcher, the spacecraft ‘electrical ground support equipment’ was connected to charge the battery charging and do a quick health check to ensure that Sentinel-1B was in good condition after the transportation. The health check was witnessed by ESA’ Space Operations Centre (ESOC) in Germany via remote telemetry connections – so it was a late night, or rather an early morning – for the team in Darmstadt. 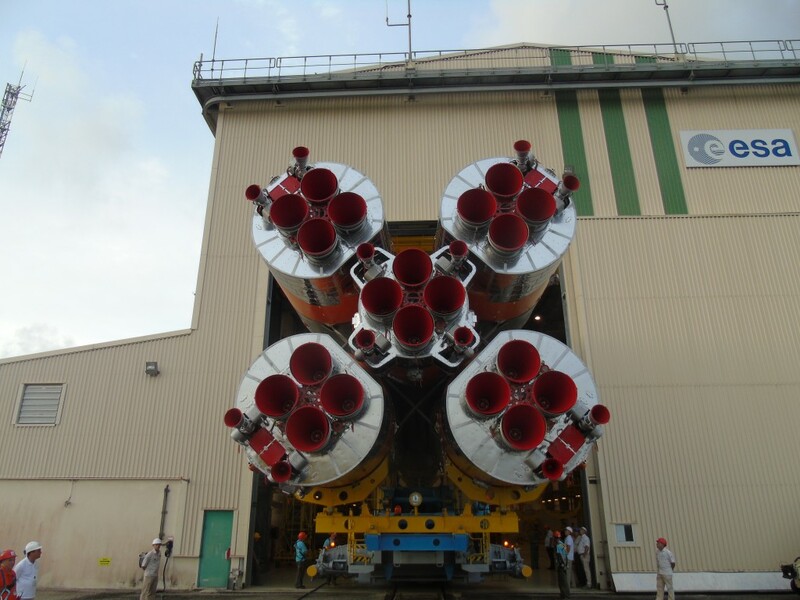 After this eventful day, the launcher and satellites are in their final configuration for liftoff on Friday 22 April at at 21:02 GMT (23:02 CEST). The dress rehearsal of the launch will take place next. From the team in Kourou.